Talawa, Britain’s most prominent Black-led theatre company, has announce the appointment of Michael Buffong as artistic director. He will join the company, currently celebrating 25 years, in early 2012. He succeeds Patricia Cumper, who is stepping down after five successful years. Michael is currently directing One Flew Over The Cuckoo's Nest at the Leicester Curve and will be directing A Moon on a Rainbow Shawl at the National Theatre in the New Year. 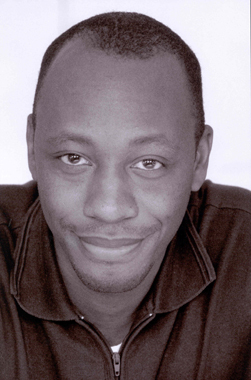 Michael has worked extensively as a director in television and theatre. Talawa continue their 25th anniversary year with a staging of George C. Wolfe’s barbed satire The Colored Museum at the world famous Victoria and Albert Museum. Directed by acclaimed actor Don Warrington, the production runs from this Saturday 15 October through to Sunday 23 October. The 25th anniversary season will culminate in February 2012, with a new production of Waiting For Godot featuring an all Black cast, in association with West Yorkshire Plaxyhouse and directed by Ian Brown.